Product was as expected... no issues and looked great..
Big difference with these fins. Easy to change and comes with everything you need. Fin's installed easily. All parts that were needed were their. Very Easy to install. ACK had them to me in no time. Great team. Worked great. Came fast. Austin steps it up as usual. Exactly as described - Wed torn our initial set, and these fit perfectly. Replacement fin arrived quickly and worked perfectly. If you have a mirage drive, you need these fins, although youll need the upgrade kit with the longer masts. The ST Turbo fins are MUCH faster and require less effort for the same speed. However, theyre made of softer rubber and stick down farther, therefore more likely to be damaged hence the extra set as spares. Gluing a rubber patch on the bottom leading edge is a good preventive measure. I have a Revolution and fish salt water primarily. I would not enjoy it as much with standard fins. The Turbos provide so much more power. Although Im 61 years old, I am able to fish all day, and often travel miles in pursuit of stripers. Standard kayakers and boaters are amazed. OEM replacement at a good price. Same day shipping, prompt delivery, great company! Made a big difference, with the same amount of energy you get 1 to 1.5 more mph. They work great and go on easy. Which is good because they damage easy on rocks. First time out on my new Hobie Outback Mirage kayak I ran aground and bent one of my turbo fins. I ordered a replacement and a spare from Austin Kayak. I received them very quickly and was able to change out with very little time lost on the water. I also received a coupon for 15% off my next order. I have been pleasantly surprised and look forward to doing business again in the future. Q: HI, Would this be the correct replacement for the fins on my 2011 Pro Angler 14? Thanks! 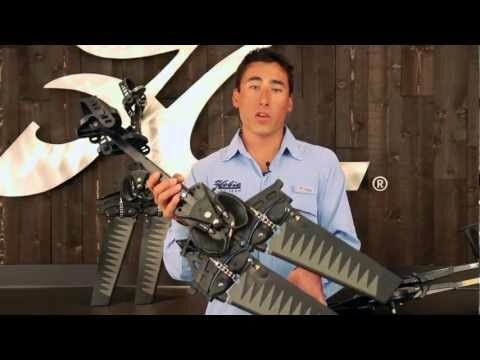 Q: Will this work on a 2013 pro angler 14?